Public-private partnership offer promise to boost Chicago’s CTA but can sheep partner with wolves without getting fleeced? The CTA is receiving strong and enthusiastic feedback from the private sector; two mega-projects along the Red and Purple lines that the transit agency could not afford to undertake on its own for many years, CTA President Forrest Claypool said Monday. A Chicago-based student housing developer known for projects in college towns is taking aim at the student population in the Loop and jumping into the city’s white-hot apartment market. Chicago Cubs owners covering all bases with plans for a Starwood Hotel & a McD’s next to Wrigley Field? The owners of the Chicago Cubs said Thursday that they plan to develop a hotel on property they own across the street from Wrigley Field that they acquired from McDonald’s Corp. more than a year ago. 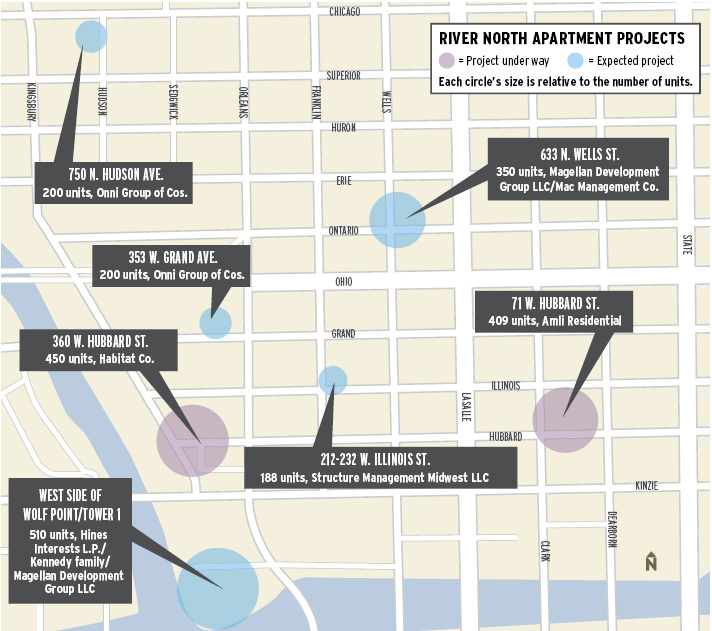 There are nearly enough developers with apartment proposals streaming into River North to fill one of the neighborhood’s thumping nightclubs. Chicago – sometimes its just time for another visually rich historic detour from designslinger . . .
Here’s a post I thought you’d like. Chicago outpaces nation in ratio of infill vs greenfield development + study finds more rail = more infill. Chicago’s Union Park to get market rate apartments from Bull’s owner Reinsdorf venture?